Erykah Tijerina was found dead in her apartment on Monday. Police are investigating her death as a homicide; she is the 18th trans woman reported murdered in 2016. 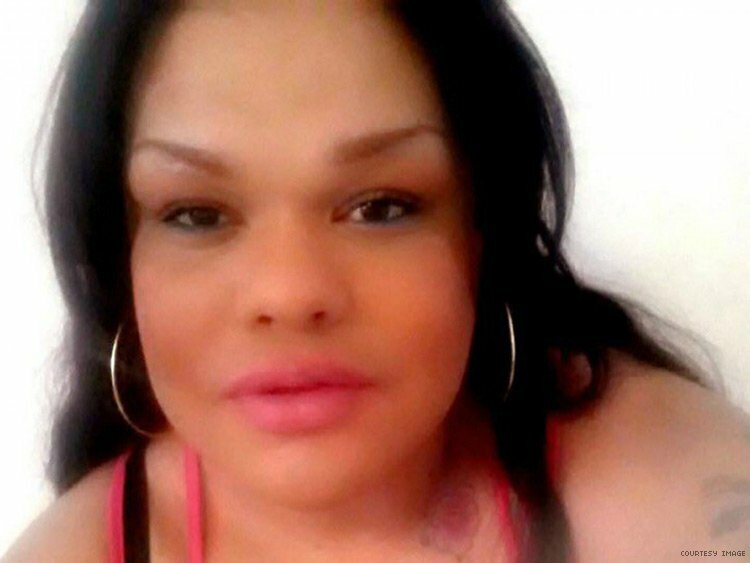 Erykah Tijerina, a 36-year-old transgender Latina, was found dead Monday at her home in El Paso, Texas, reports local TV station KFOX. Police found signs of foul play and are investigating her death as a homicide. She is the 18th trans person known to have been murdered in 2016. As often occurs when trans people are murdered, local media initially misgendered Tijerina and referred to her by the wrong name, which delayed the reporting of her death as the murder of a trans woman. Tijerina's family quickly sought to correct those reports, though area media outlets still unnecessarily refer to her by her birth name. Tijerina's sister Pearl Tijerina described Erykah as "funny, giving, and unapologetic" about who she was, KFOX reports. She also said, "[Erykah's] the one that told me to stay strong and not care." Though police have not yet indicated that Tijerina's murder was a hate crime, her sisters expressed concern that she may have been targeted because she was transgender. Police have released few details about Tijerina's death. In a statement released through the National Coalition of Anti-Violence Programs, Nell Gaither, president of the Dallas-based Trans Pride Initiative, said, "Trans Pride Initiative would like to encourage all community and accomplices to raise our collective voices against not just the media and police misidentification, but also the broad state-sponsored stigma that is growing in Texas and elsewhere, which fuels bias that exacerbates bullying in our schools, refusal of social services, denial of employment and other life opportunities, and increases the many faces of violence with which our community is so familiar." This summer has been particularly deadly for trans women of color. Three black trans women— Skye Mockabee, Dee Wigham, and Deeniquia Dodds— were murdered in July alone. Trans women of color face incredible levels of homicide in the U.S., and the number of trans women of color murdered has risen every year for the last several years. By comparison, 21 trans women were reported murdered in all of 2015, and 14 were reported in 2013. It is believed that far more trans women of color are murdered each year than are reported in the media, as police departments often fail to disclose or document the fact that victims are transgender.